When I hear the bells of Westerkerk toll the next hour, I can't help but think tomorrow's a brand new day, and the sun will (hopefully) be shining. Which only reminds me just how spectacular the world really is, and just how small (but important) a role I play within it. I recently told someone I want to do great things someday. Why not make that day today? I wrote to myself while in New York, back in May. It was inspiring, at least to me, when reflecting on it. 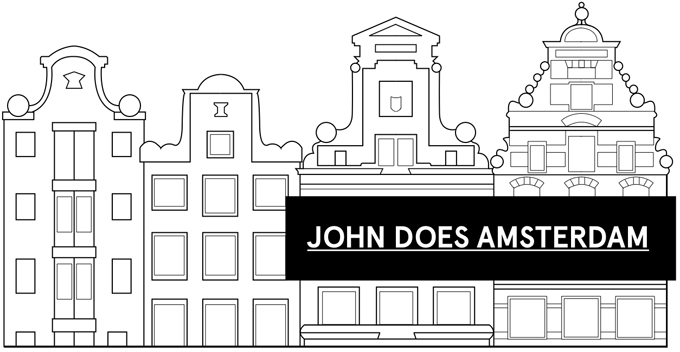 'When you go back to Amsterdam John–meet people, genuine people. And have fun. Start painting like you want to. Don’t go out dancing (for now). And enjoy the company of your brother. Show him around Europe. Focus on running. And above all, John–Don’t forget that life is not a test. There’s no second act coming up later on. This is it. So have fun. Be adventurous (and I think you are). And enjoy your time in Copenhagen in the coming weeks… and the marathon. And the company of friends.' Life is not a test. And there is no second act coming up later on. So true.